A new name won't fix its problems. Google announced today that it’s changing the name of its wrist-sized OS from Android Wear to Wear OS by Google. The re-branding is rolling out now and should start appearing on phones and watches in the coming weeks. To say Android Wear is in need of a change is something of an understatement. Google’s smartwatch OS received its last major update in February 2017 with version 2.0, after months of delays. It’s been nearly two years since Google announced any new features to Android Wear, and some manufacturers have abandoned the platform due to low sales. The story behind the story: Android Wear started out with lots of promise, but it fizzled out almost as quickly as it arrived. While the first crop of watches were praised for their smart, circular designs (a direct contrast to the square design of Apple’s Watch), a dearth of features and buggy performance kept them from being truly great. Version 2.0 was supposed to fix many of Android Wear’s shortcomings, but a months-long delay and a lack of commitment from popular watch-makers such as Lenovo, kept the Android Wear 2.0 launch from being as triumphant as it should have been. And the crop of watches that followed didn’t help. From the LG Watch Sport to the Huawei Watch 2.0, big and bulky became the new norm with Android Wear. Gone were the sleek circles we saw with the Moto 360 or original Huawei Watch, replaced with LTE-enabled behemoths that required equally giant wrists. And since mid-2017, we haven’t seen any Android Wear watches from manufacturers other than fashion brands with limited functionality. Since the launch of version 2.0, Android Wear has shifted from a tech-minded OS to a fashion-centric one. Out of the hundreds of watches based on the platform, nearly all of them are from Fossil brands such as Michael Kors, Kate Spade, or DKNY, and that could be the reason for the change here. If Google is giving up on wearables as tech accessories, divorcing it from the Android name will certainly help sales at department stores. The Google name carries far more cachet than Android does, so the change certainly makes more sense for fashion watches. The LG Watch Sport is too big for most wrists. 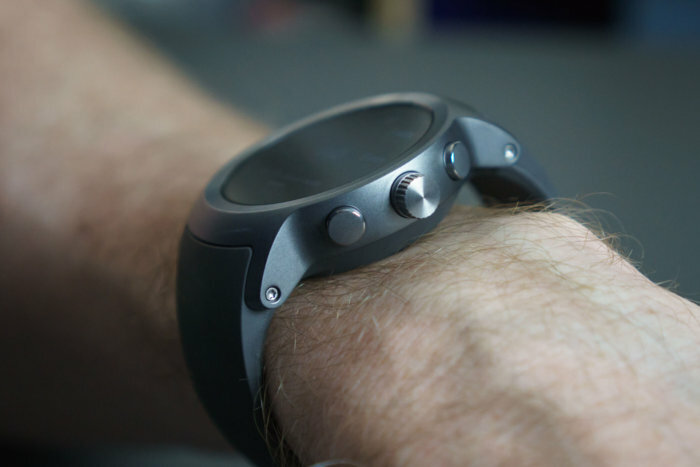 But it could also bring some significant changes to the part of Android Wear we care most about. While Apple has pretty much lapped Google in terms of functionality and sales, a new start for Android Wear could mean a revamp of the interface and features. Compared to watchOS 4, Android Wear 2.0 is outdated and slow, but it still has a solid foundation. There’s Google Assistant, an on-watch Play Store, and an excellent fitness app, as well as support for rich notifications and music streaming. Yes, it’s in need of an overhaul, both in terms of software and hardware. I would love to see Google go all-in on Wear OS with a Pixel Watch that offers the same level of design and performance as Google’s phones, with regular updates, exclusive features, and tight integration with the ecosystem. Android Wear’s biggest problem is lack of support, and new branding could give the platform a shot in the arm, provided Google combines that with real changes. We’ll have to wait and see if Wear OS represents a new chapter for Google’s wearable platform. In its announcement of the name change, Google notes that it’s “just scratching the surface of what’s possible with wearables and there’s even more exciting work ahead.” Whether that means version 3.0 will be shown off at Google I/O or a complete redesign is in the cards is unknown—at least we do know that Google hasn’t completely forgotten about it.